Placenta Clinic was launched in January 2017 to provide a specialised clinic to increase the detection and improve management of babies with fetal growth restriction (FGR). Implementation of the Saving Babies Lives care bundle has been challenging due to the increased resources required. Practice prior to service implementation was to provide growth scans at 28, 32 and 36 weeks gestation to those at risk of FGR. This strategy identified less than half of small babies. Using evidence based protocols, patients identified as at risk of early onset growth restriction are reviewed and have a specialised scan at 23 weeks gestation to identify those at risk of early placental problems. If the screen is normal scans are arranged later in pregnancy until term. If the risk of placental failure is identified the patient has follow-up scans in the Placenta Clinic and delivery timed appropriately. Patients with established fetal growth restriction can be referred into the clinic for surveillance and delivery timed appropriately. To date the clinic has scanned over 500 patients. Of those with a normal screen none have developed early onset FGR, giving a negative predictive value of 100%. By introducing an innovative, evidence-based approach to the detection and management of FGR, our Trust has fully implemented the Saving Babies Lives care bundle with minimal resource implications. The detection of early onset FGR has increased and the incidence of missed late onset growth restriction reduced. This should translate into a decrease in the number of preventable stillbirths. The Placenta Clinic provides support to patients with established FGR. Previously these patients would travel long distances to access care for management of FGR. Our patients are now cared for locally and delivered timely, optimising perinatal and neonatal outcomes. Our service model has increased scan capacity by 25% – these are re-utilised to scan until term increasing detection of late onset FGR with minimal resource implications. The service provides ongoing support to existing services. Outside referrals have been reviewed, allowing us to support other local units. There is a potential for research into early onset FGR in our setting and it acts as a multidisciplinary training platform to increase the expertise in FGR. Our service model is reproducible and may help other units that are facing challenges implementing Saving Babies Lives. We have increased the detection of fetal growth restriction, both early and late onset. We expect that this will translate into a reduction in preventable stillbirths. Our innovative service has been introduced with minimal resource implications allowing the Saving Babies Lives care bundle to be fully introduced. This has been a challenge in many UK units. By appropriately focusing ultrasound resources, patients can now be scanned until term and scans targeted on those at highest risk. The service has integrated well with existing services and acts as a support to them. 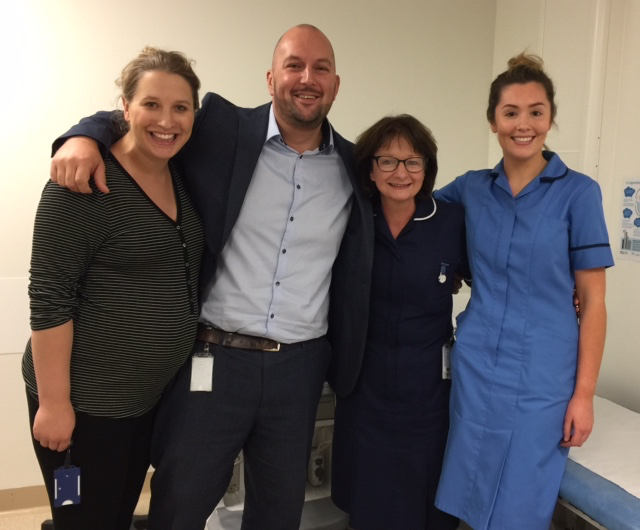 The Placenta Clinic now sits at the heart of the detection and management of fetal growth restriction at East Lancashire Hospitals. Our perinatal and neonatal outcomes have improved by providing local ultrasound surveillance in early onset fetal growth restriction and allowing timely delivery in the local neonatal unit. Patients no longer travel long distances or delivered early due to geographical limitations. The service acts as a regional/local referral source for the management of fetal growth restriction. The service acts as a multidisciplinary training platform in advanced ultrasound and the management of fetal growth restriction at a regional level.